Over the last three and a half months the BBC has treated it's audience to not one, not two, but three dramas set in the 1930s. I had originally wanted to publish this post after the last episode of South Riding but I never got around to it (oops!) but when the latest 1930s based drama, 32 Brinkburn Street, came to an end it was the perfect excuse! Personally, I've loved that this often overlooked decade has been shown to the public, portraying all different areas of Britain and different social statuses too. At Christmas﻿ the long awaited Upstairs, Downstairs was televised - cue online battles between Upstairs, Downstairs fans and Downton Abbey - and I loved it! The cast was glamourous, the script entertaining and the storylines covered serious issues of the time - like the chauffeur Harry Spargo (played by the delicious Neil Jackson) and Lady Persie's (Claire Foy) involvement with the British Union of Fascists - whilst making them relevant to today. 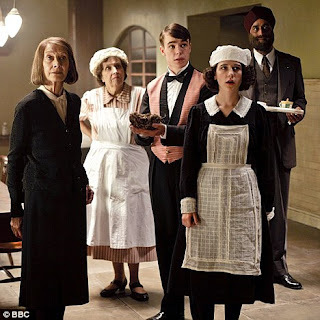 I'm so glad it was recommissioned for a full series after the three part taster, and I can't wait to see what's to come for the Holland's and their troupe of servants! Next came the dramatisation of Winifred Holtby's 1936 novel South Riding. 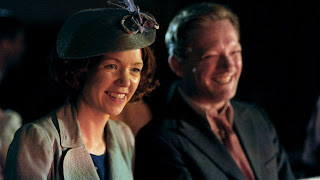 Set in a backwards South Yorkshire town, it sees the transformation of the inhabitants with the arrival of the heroine, Sarah Burton, played by Anna Maxwell Martin. I must admit I've never read the book (although it is now on my very long, ever growing list) but the BBC's portrayal was very interesting. However I felt it was a little rushed, especially in the third, and final, episode, and left me feeling "Oh, was that the end?". Perhaps if it had been divided into more episodes it would have been better? 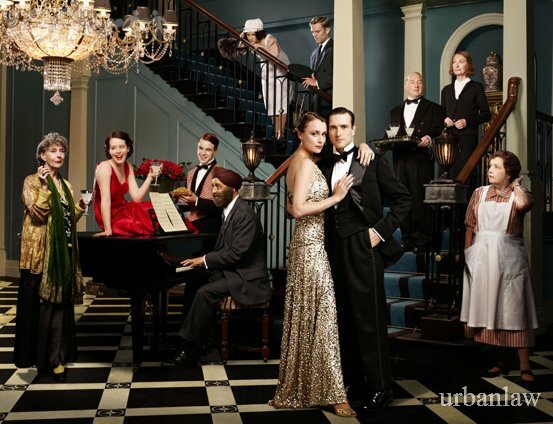 Still, it was an interesting drama, showing the hardships of the decade in reflection to the still rather lavish life lived by those Upstairs in Upstairs Downstairs. Finally we have the afternoon drama shown this week entitled 32 Brinkburn Street. 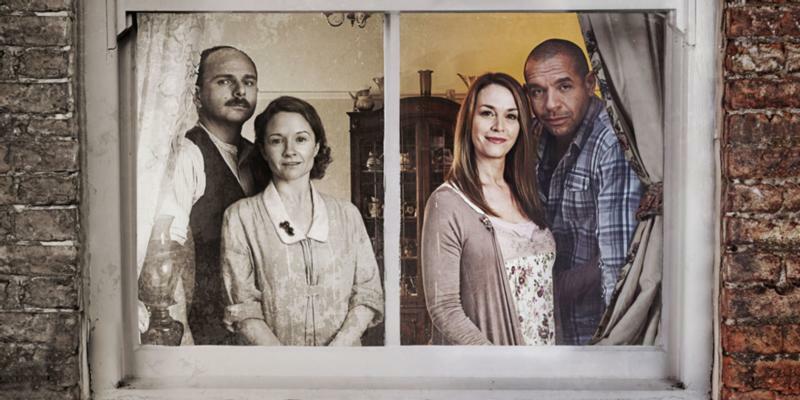 The show is split between 1931 and 2011, and follows the lives of Frank Ogilvie and his family in both eras. The storyline in 1931 is a little far fetched - so perfect for an afternoon viewing with a cuppa tea and slice of cake! - and include a bricked up corpse of a murder victim (but who is it!?) and an Irish man on the run who has an affair with his landlady. The writers cleverly connected the two eras with similar characters, like elderly relatives that feel unwelcome, teenagers growing up, and fathers struggling with various addictions. The show was strangely addictive, if a little cheesy, but it was a nice depiction of everyday 1930s life - although I don't think my family ever had as much drama in their lives as the Ogilvie's! So, with the award winning King's Speech and the BBC's influx of 1930s shows, can it be said that the 30s is the decade for 2011? I hope so! I truly hope so!